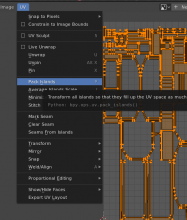 Pack feature of UV editor in Blender 2.8 scales packed islands non uniformly, making it useless, for anything. 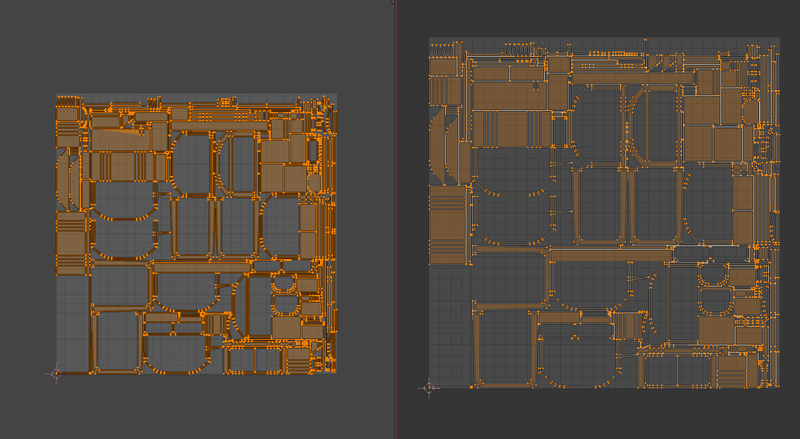 A 3D software with no functional UV packing feature is a big problem, as it means any UV mapping work has to be done outside of Blender. 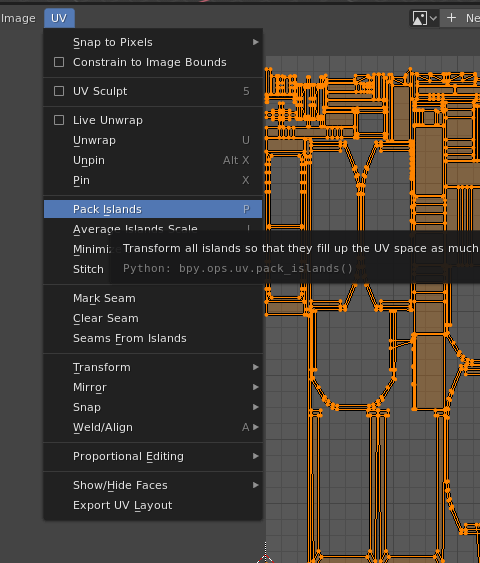 Expected: Pack feature does not alter scale of the UV islands in ANY way unless explicitly allowed by user. rB403ae48063d9: UV editor: automatically show image assigned to active face. This is not a bug but a feature request. Non uniform scaling of packed islands literally defeats the point of UV packing. It's literally impossible to use this feature to any benefit. At the same time, UV packing is absolutely essential feature of any 3D package. @Ludvik Koutny (rawalanche), please be professional and avoid the personal attacks, mistakes happen if you triage dozens of bugs a day. I am sorry I got heated up. Non the less, the report is very clear, screenshots and repro scenes provided, and the issue is significant. I honestly still find it difficult to believe this was just an oversight, since it was so quickly concluded as feature request. As you can see the difference is not that much so I thought you were requesting something that had not been in blender before. You should have made it clear from the bug report that this was not the case. But instead you just said to expect garbage output. And because I got nearly the same in 2.79, you can see how I made my conclusion. You should have made it clear from the bug report that this was the case. Yeah, sorry. Now I am very confused. I'm using the latest commit on the 2.8 git branch. But I don't see any obvious fixes for this problem in the commit log. I'm guessing that something might have broken it and then fixed it today? I'll try the commit from the build bot too. Yeah, probably. I get the same result as before with a commit from feb 5. @Brecht Van Lommel (brecht) any ideas? Or did you manage to reproduce this too? It may be related to the aspect ratio of the assigned image textures. 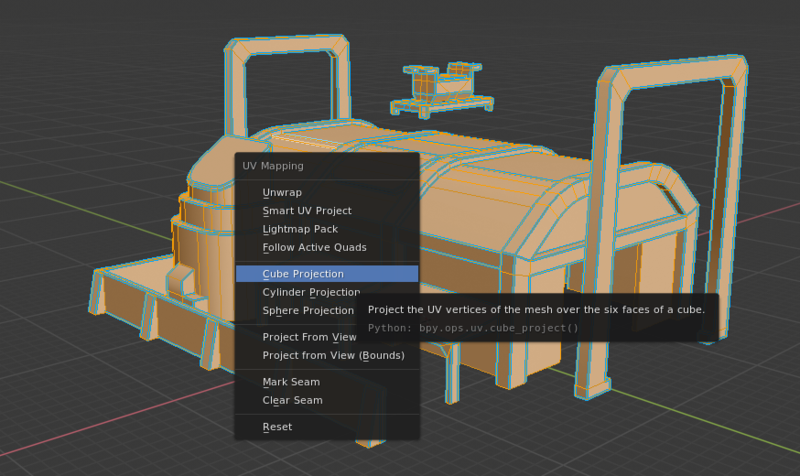 If they are non-square the UV editor does a correction for some operations. I couldn't immediately reproduce the bug, but can go over the code to check what changed compared to 2.79. 1, It does this correction based on texture of the first material in the material slots, even when the object can have multiple materials, each having multiple textures of different aspect ratios. Brecht Van Lommel (brecht) added a subscriber: khader (khader). Brecht Van Lommel (brecht) added a commit: rB403ae48063d9: UV editor: automatically show image assigned to active face..